Many New Yorkers enjoy comfort food as much as their suburban brethren and in America, the restaurant of choice for comfort food is the diner. These places appeal to Americans for so many fundamental reasons - large portions, low prices, long hours (many are open 24/7), fast service and typically an enormous, extensive menu of virtually every staple in the American diet - even breakfast items can be had all day. 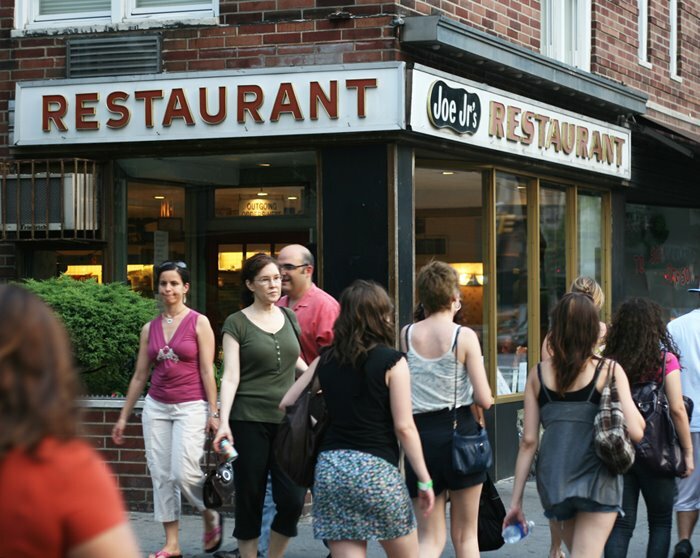 Of course in New York, we just love those legendary places and iconic diners are no exception with places like the Market Diner in Chelsea and Moondance in SoHo which made big news when it was sold and completely moved to Wyoming in 2007. Food reviews at diners are mixed - much depends on individual tastes and also the type of dish ordered - food quality can vary more than in a typical restaurant - a place may be good for burgers and breakfast but not great for filet of salmon. The safe bet is to go with simple, low risk, "standard" fare.